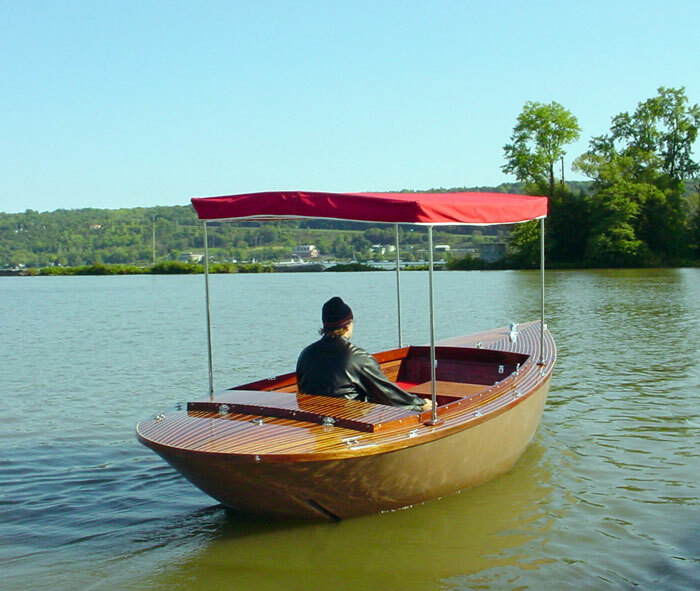 Scott Tobey writes that he "wanted a boat for exploring the lakes and streams of the Adirondacks so it had to be something silent and electric; something with a shallow draft and very maneuverable, ideally powered by two Minn Kota outboards with dual throttle control and power trim for launching and shallow water operation." 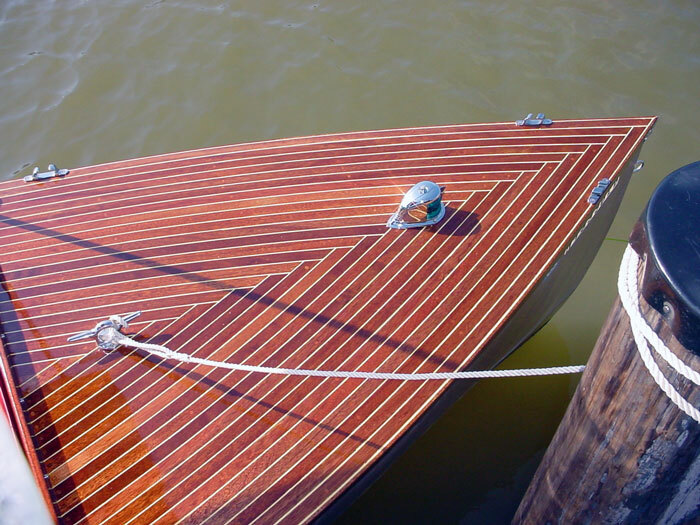 The hull is of double-diagonal cedar planking over laminated white oak frames, sheathed in one layer of Kevlar and one layer of fiberglass cloth all covered in epoxy. The decks are edge-set mahogany planks payed with pigmented epoxy and finished with two layers of WEST epoxy and four layers of varnish. 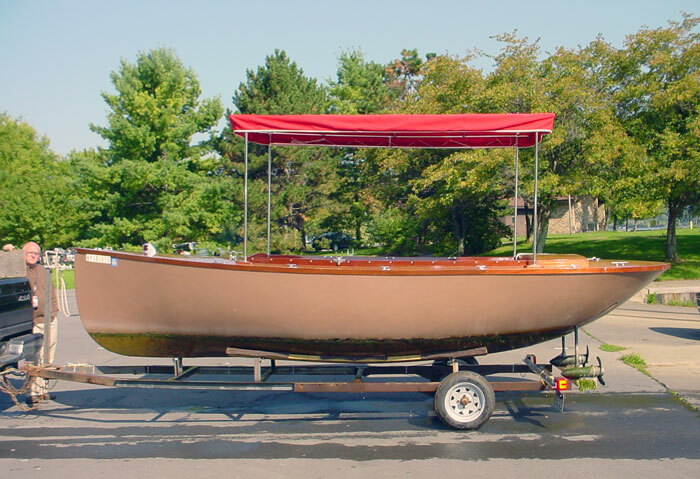 The hull is 18'4" overall, 15'6" at the waterline, beam is 5'9".